I went to Hon's alot when I was kid...but I bet you wouldn't be able to guess what I would order! (I'll give you a moment to think.) Their famous potstickers? Nope. Their wun tun mien? Nope. Nothing! I would pack my own lunch to Hon's! Back then I had severe allergies and I was even allergic to soy sauce (thank god those days are over) so I would watch in awe as my parents devoured their cheong fun and wun tun mien. I would get scolded at by the ladies who worked there (no outside food allowed!) and my parents would have to come to my defence and I explain that I had allergies! So yesterday was actually my first time eating at Hon's! After watching people eat at Hon's for 10 years of my life, I can finally say that I've eaten at Hon's!! It was a glorious moment indeed. It's the little things guys, the little things! 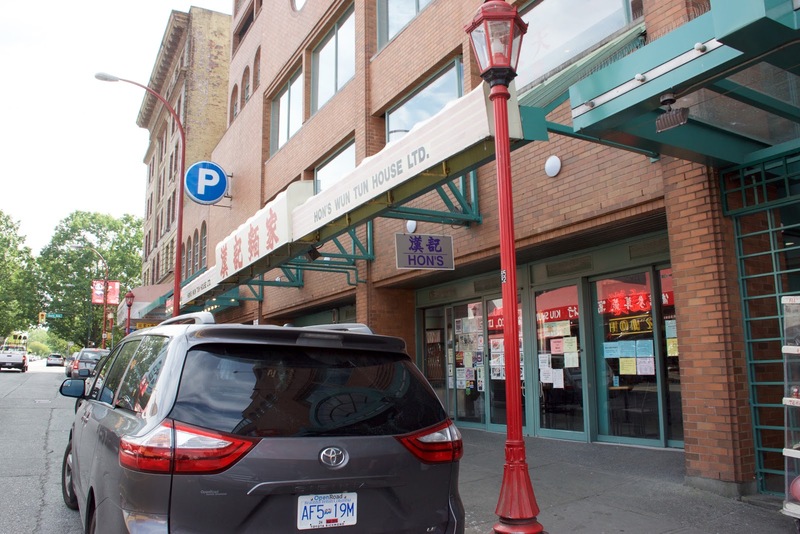 My dad actually lived in Chinatown for 10 + years when he first moved to Canada! Nowadays he doesn't come to Chinatown that often because he works in Richmond, but when he does, it's always a trip down memory lane! I would joke with him that this was where he "grew up." He knows Chinatown like the back of his hand! After lunch I wanted something sweet so I went to the Cantonese bakery across the street from Hon's! There's two, Maxim's and Sun Fresh Bakery! I bought some classic Cantonese sweets for dessert (bak tong gao & dousha bing!) I ate them in the car and my dad was like "You're still hungry...after all of that?!" 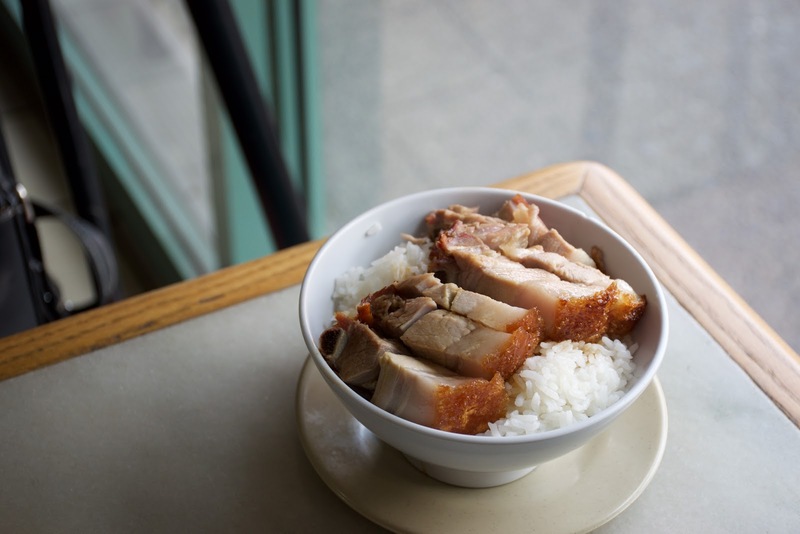 Pimples aside, you can't go to a Cantonese place without ordering some yua ja gwai can you? These were just alright. They're the doughier kind, which I like, but the exterior wasn't crispy enough for my liking. I don't think they season them because they were pretty bland. 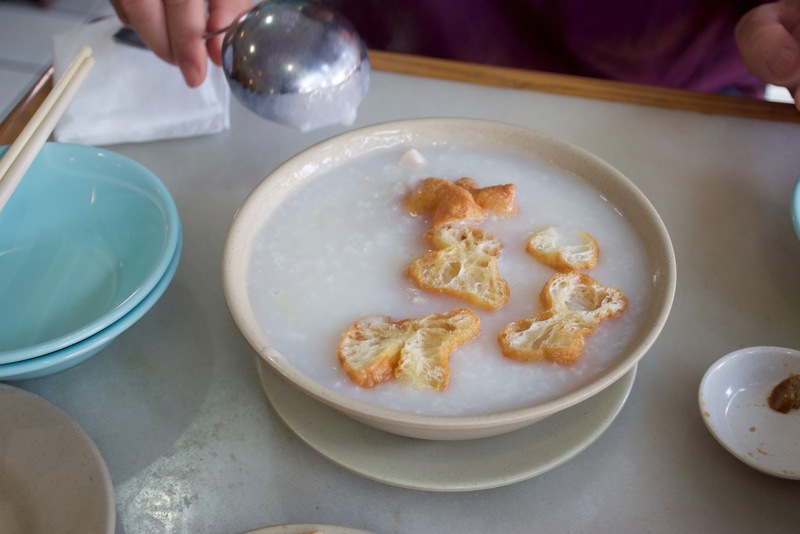 Some places do, some places don't, because most people end up dipping them in congee. But I prefer saltier yua ja gwais because I like eating them without congee! This was below average, by Richmond standards. The sui yuk, while reasonably fragrant, wasn't that great. The lean meat was very tough, and the fatty pieces were too fatty (and not in a good way.) The crispy skin was a tad bit soggy and too thin. The rice bowl was a bit small for almost $7 and the rice they use isn't that great. But given that they're not a BBQ house, it's forgivable! This was the best dish of our meal!! I was actually quite impressed with it. 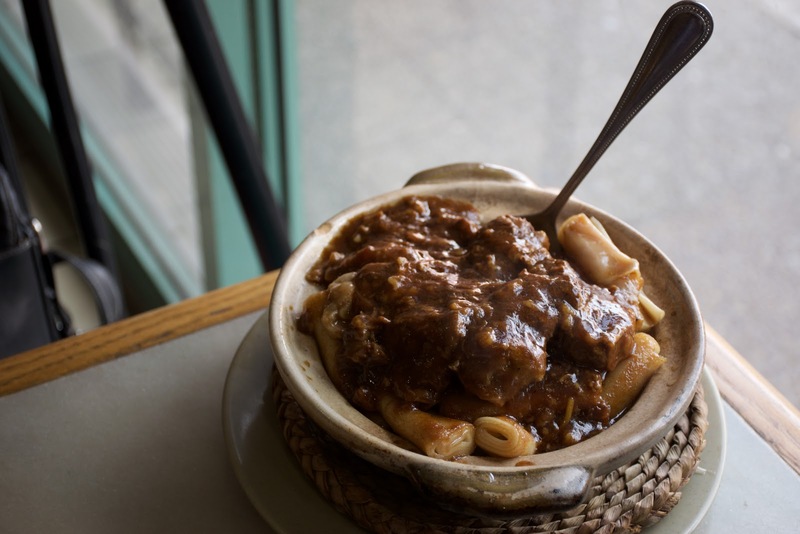 For under $8, this came in a large bowl, piled high with loads of brisket and rice rolls! The rice rolls were chewy with bite! The rice rolls were pan fried so they also exhibited a reasonable amount of wok hey! The brisket was well seasoned without being too salty, and the meat was reasonably tender, and didn't require a lot of chewing! There was also some bak choy on the bottom, which was a pleasant surprise! While I was working on my sui yuk my dad devoured 3/4 of it! For $5, the congee came in a huge bowl loaded with pork and pieces of yua ja gwai. I was actually quite impressed that they included 6 pieces of YJG in there because most congee places don't! The pork was a really neat texture, it was chewy and the pieces "popped" in my mouth! The congee tasted predominately of ginger, and msg usage was definitely at a minimum. Consistency wise it was okay, a little too runny for my liking, I prefer thicker congees! Literally my childhood. I kid you not. I practically ate this & bak tong gao every other day when I was a kid! 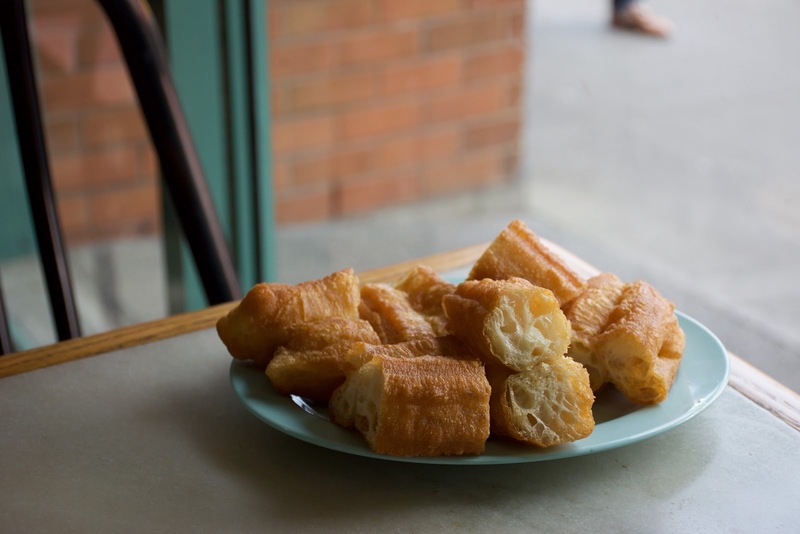 Not a lot of people know about these old school Cantonese desserts because they tend to get overshadowed by mainstream bolo baos and dan tats! I actually haven't had a piece of dou sha bing in years. I guess after I became a food blogger I got preoccupied with eating more "exciting" things so I forgot about these. But man, are these ever good! You can never go wrong with the classics!! 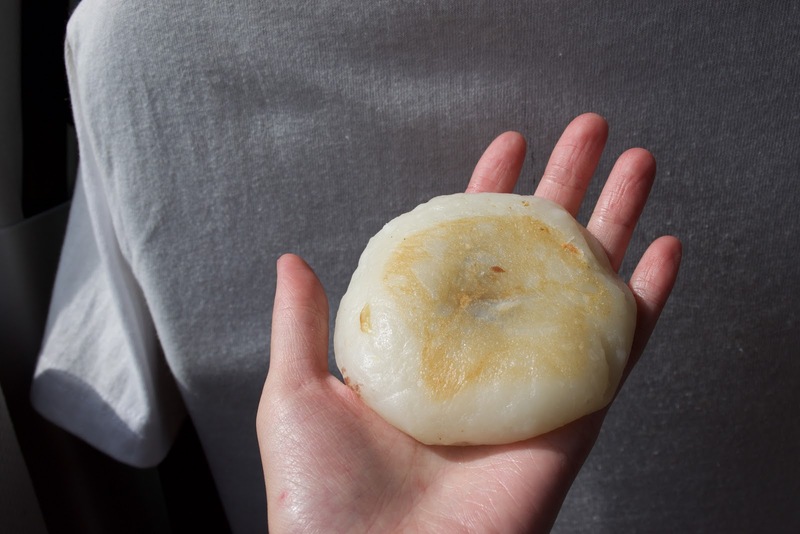 It's super glutinous, sticky and mochi like!! It's subtly sweet and has an amazing aroma to it! 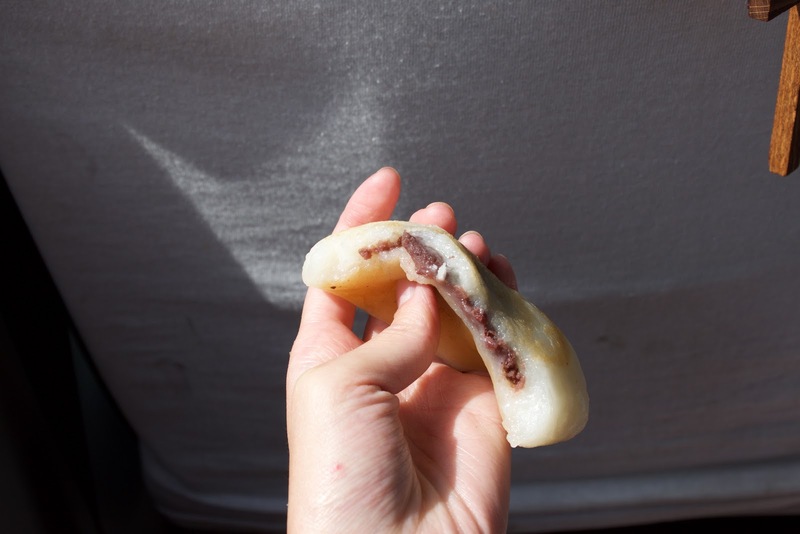 When you bite into it the red bean flavour hits you in the face! It's wonderful. Such a classic, I'll never get tired of it! It's like a gigantic MOCHI!! It's been too long BTG!! Me and BTG go wayy back. Back then, it was the closet I would get to eating a "cake." It's almost like eating a sponge, it's very spongy in texture, and it has holes in the centre!! It's subtly sweet, but it has this amazing aroma to it, it smells like a mixture of rice and sugar!! I was surprised that it was still warm when I opened it, because they're premade and stored inside glass display cases! which place are you referring to for buying homemade lap cheong? thanks. Yes, HON's was where I meant. When I asked the staff person in the store section, he said they make it. So "homemade" is fairly apt of a description. Ooooh I want some now ! thanks for the response. 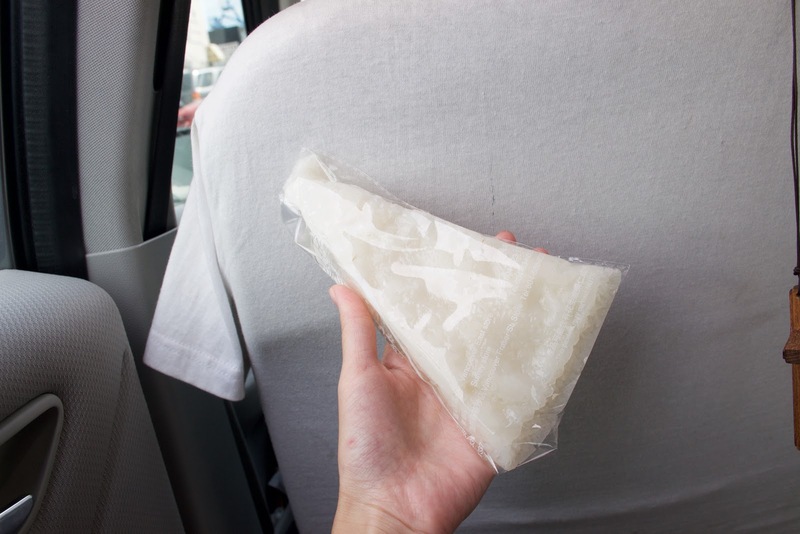 do you know if the lap cheong is sold in standard (vacuum-packed) packaging? I'm asking because I'd love to bring some back with me to l.a., but u.s. customs has certain restrictions on meat products. anyway, looking forward to your reply and keep up the good work on the blog! thanks in advance. Yayy good news!! I called Hon's and asked! 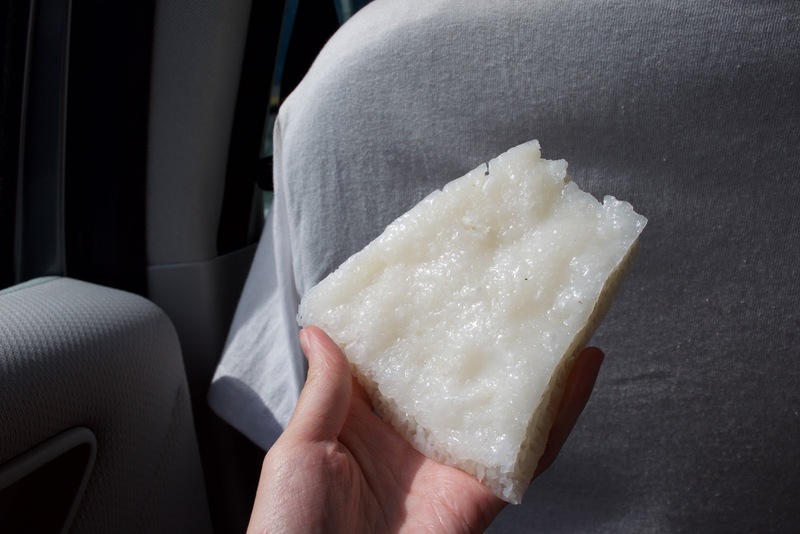 Their lap cheong is freshly made, so *normally* they don't sell them in vacuumed packaging, but if you ask, they can package it in vacuum packaging for you!! But they can only do this at their Chinatown location! Wow thanks so much for making the effort to find out for me! I'm back in L.A. but will definitely pick up some lap cheong from Hon's next time. I visit Vancouver regularly and fully recognize the superior Chinese food....much better than L.A. You've got it good! Thanks again.